We at Raise Ur Paw, are deeply committed to not only make a stand and be voices for animals in need worldwide, but to also bring humane education to our youths within educational facilities --- and feel passionate about our belief that with the right education, empowerment and encouragement we and our future generation can truly make a difference in this world in which we reside in. 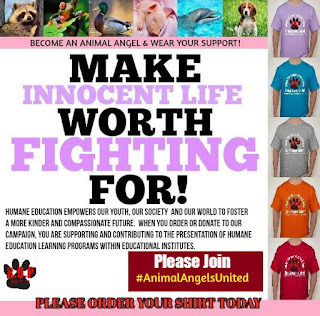 JOIN countless others and SUPPORT the efforts to make this dream a reality... Be Part of #AnimalAngelsUnited This February, 2017! Many of us are already aware of the importance humane education is within the lives of our youth --- and how such education can be a leadership skill to establishing the impacts and differences needed for fostering a more kinder and compassionate world and future. But even though such knowledge is of great importance and necessary... educational facilities and curriculum still does not provide this imperative learning experience to our youths and future generations.... and that desperately needs to change. That is why, along with our efforts to raise awareness on the issues in which our innocent animals face and endure on a daily basis, that we are reaching out and hoping to establish and bring H.E.L.P (Humane Education Learning Programs) to the table in order to support and help our youths fulfill their potential in being positive role-models & action takers by providing them with age-appropriate education, resources, materials and empowerment. 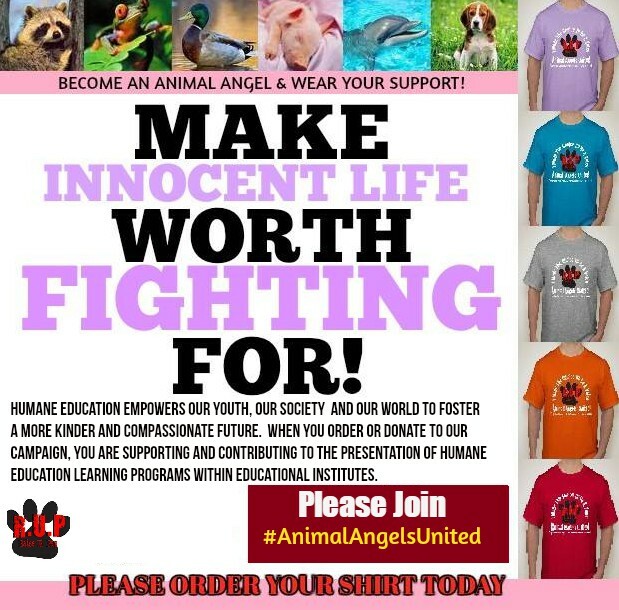 PLEASE ORDER OR DONATE Today --- https://www.booster.com/raise-ur-paw-join-animal-angels-united (Only Days Left To Help The #AnimalAngelUnited Campaign) Hope We Can Count On Your Support! With your contribution and as part of #AnimalAngelsUnited you become part of the extension of the branch that will create stepping stones and positive motivation for our younger generations, to foster and promote the connection that is urgently needed for a more humane world and inspire role-models that will keep the journey and efforts to saving and protecting innocent life alive for decades...if not centuries to come. We can all make a difference --- not only in the lives of animals worldwide, but within our youths as well. Will You Raise Ur Paw With Us for #AnimalAngelsUnited. FOLLOW US AT @raiseurpaw on Twitter!